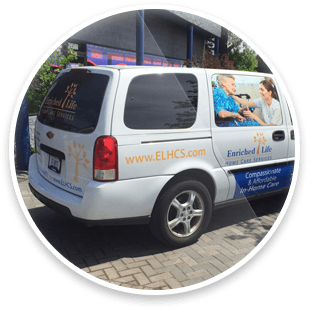 A professionally designed logo will distinguish you from your competition. We offer a large variety of printing solutions to fit each of your needs and to create a consistent brand identity that your customers will come to know and trust. Perfect Impressions is your one-stop-shop for Marketing Materials that will build your brand and drive new business in the Farmington Hills, Wixom, Novi area. We start the process by setting up a meeting with your team and one of our designers to discuss your needs, goals, budget, and timeframe. Next, we’ll manage the project through completion to take the stress and frustration away from you and free up your precious time. 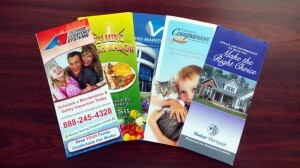 You’ll end up with a set of consistent and effective marketing materials to help grow or build your company. 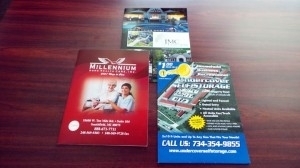 Create a Professional Company Image with Creatively Designed Marketing Materials. You only get one chance to make a first impression, with Perfect Impressions your first impression will be perfect! Our creative team have designed thousands of unique logos for our clients, get rid of that clip art logo and build your professional image. Our team will help you select the right products for your marketing needs including logo design, business cards, mailers, and more all under one roof. Working with our team means a streamlined experience and less hassle for you, leaving you time to manage your business while we handle the graphics. 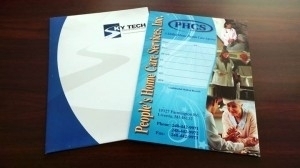 Drive sales and solidify your company branding with new marketing materials from Perfect Impressions. Fill out the contact form on the right or give us a call to discuss your project and your marketing needs. 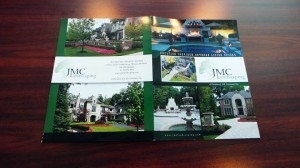 We offer business cards, branded envelopes & letterhead, and postcards for mailings in the Farmington Hills, Wixom, Novi, West Bloomfield, and Southfield area.